Nothing is more frustrating than putting your valuable time and sweat-equity into pursuing a goal and then having nothing to show for it. When it comes to fat loss, sure there are people who are lazy and not willing to work for it. However, there are also those who are working hard, but making mistakes that end up killing all their hard work. A while back a wrote about 5 Common Mistakes that Slow Down Your Fat Loss. Here are 6 more mistakes that will keep you from getting to your fat loss goal. Fat gain is the result of nutritional mistakes. Why then do so many people look to training to get rid of the fat that was caused by bad eating in the first place? Many frustrated people are searching and bouncing around from one fat loss “miracle program” to the next hoping that the next program they try will be the magic bullet to annihilate their unwanted body fat. This is especially true for athletes who are already doing a huge amount of physical activity already. Yes, you want to be on a solid program for fat loss, but if you have more fat on your body than you should, look first to your nutrition. When the topic of nutrition comes up, many people are quick to say that they eat healthy. Are you sure? Many people these days get sucked into what I call “mock health foods”. These are processed foods that are marketed as health foods with labels such as: low fat, low carb, high fiber, all natural, low sodium, non GMO, organic and gluten free. While some of these products might be slightly healthier than their comparison products (e.g. the non-organic ones), if they are processed food, then they are not truly healthy and they are inappropriate for fat loss. If you are not currently eating whole, truly natural, single-ingredient foods that do not come from a box, then this changing this should be your top nutritional priority. Many fitness folks and athletes have been told to follow up their training sessions with some fast-digesting carbs and proteins. While this is a solid concept, it needs to be appropriately applied to the context of fat loss. Too many people sabotage their efforts in the gym with post-workout sugar binge at the local coffee shop in the name of glycogen recovery. After training, have some protein (e.g. whey protein) along with some carbs (e.g. a banana), but do not get carried away here. I will not work with a fat loss client who is not willing to keep a daily food log. Food logging holds you accountable, helps you think about what you are eating and allows you to assess and progress your nutrition habits. If you are serious about losing fat, you must keep a food log. 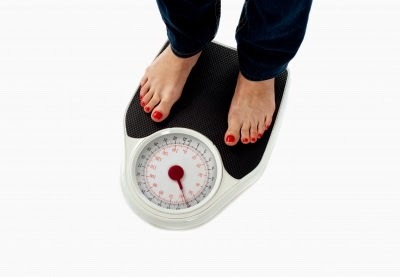 Related post: Food Logging for Improved Body Composition. For decades, people have looked to cardio as their exercise ticket to leanness. While the right type of cardio can help burn fat, cardio has some huge limitations when it comes to stripping unwanted fat off your body. One of the reasons cardio has been so popular for fat loss is that people have mistakenly asked the wrong question. They asked, “What type of exercise burns the most fat and calories during a workout?” when they should have asked, “What type of exercise has the greatest impact on raising my metabolic rate?” If you are serious about fat loss, focus on what can you do to raise your metabolism and burn the most amount of calories not just during, but after your training. 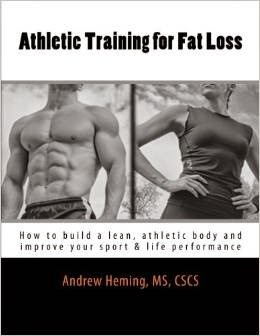 Recently my wife and her cousin were taking about the programs from my book Athletic Training for Fat Loss. Both of them commented on how they noticed that they were warmer throughout the day. The reason for this is that the programs in the book were designed to rev up your metabolism. Heat is a buy-product of metabolism. The reason they were both warmer than normal is that their high-intensity, athletic training had kicked their metabolisms into over-drive. Many people focus their fat loss efforts on small, easy exercises. These will not help you crank up your metabolism. Instead, start by learning to do the big, hard movements such as squats, deadlifts and upper body pushing and pulling. Then, work on getting stronger on these movements by progressively adding more weight. If you are progressively getting stronger then you are progressively getting your body to expend more calories. In short, your fat loss training keeps getting more effective. Avoid this mistakes, keep up the hard work and you will get your goal!